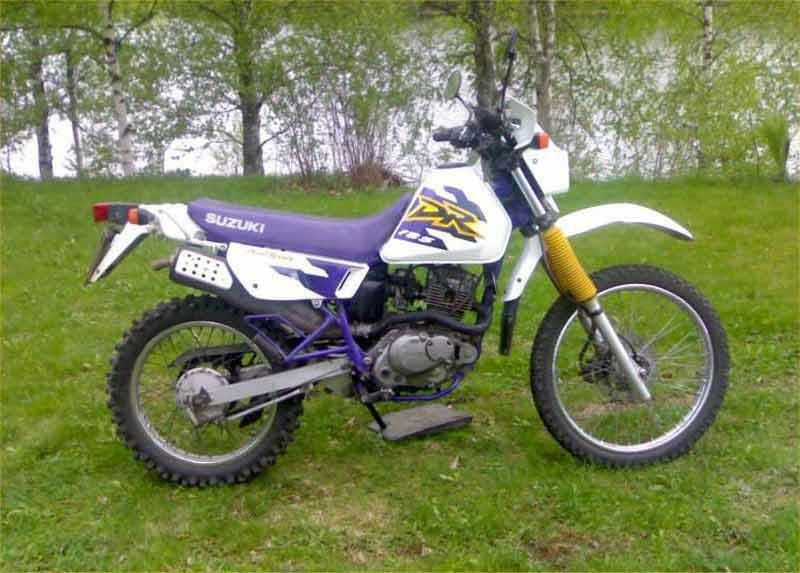 The Suzuki DR125SE, is a straightforward but attractively styled four-stroke learner trailie that was only available for a limited period, so rare now. Earlier twin-headlamp “Raider’ was more common, but most are by now unserviceable. 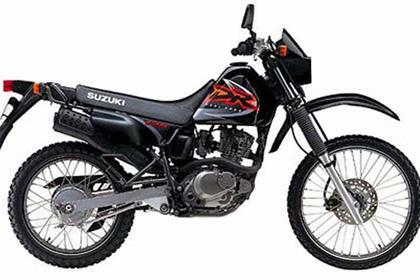 A good Suzuki DR125SE is a valid alternative to an XT125 or the like. 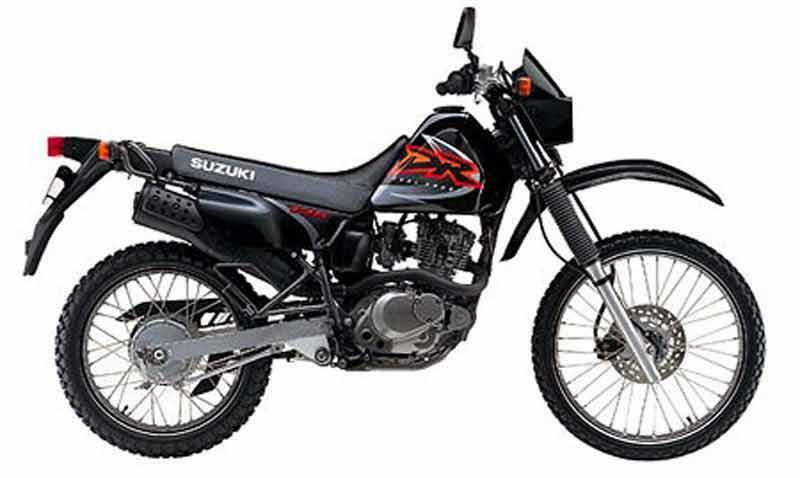 Again, fairly straightforward fare – the Suzuki DR125SE has a long history, after all and most of the basic mechanicals were carried through from the 1980s – but when it comes to rugged learner trailies there’s not much wrong with that. The Suzuki DR125SE is big enough for larger riders, a doddle ride and relatively comfortable, too, just don’t expect to go dicing with the Aprilia or Cagiva 125 sportsbike boys. 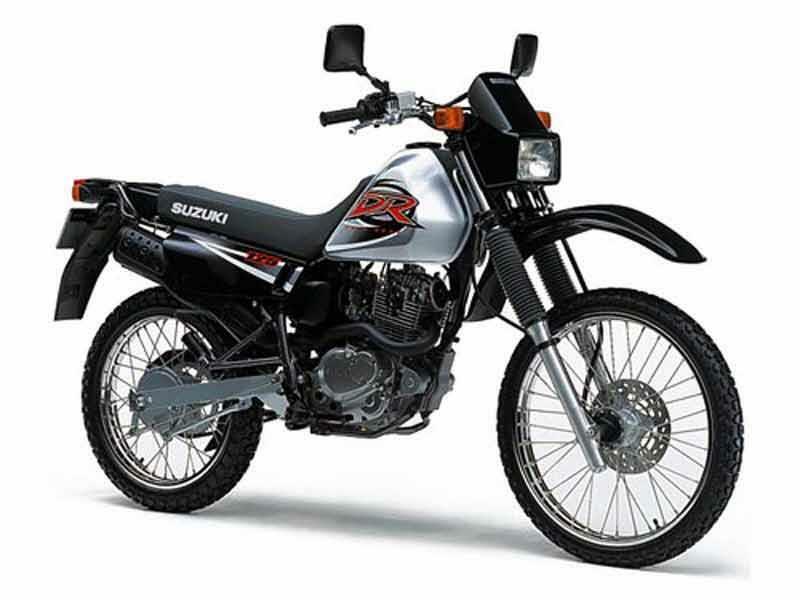 The Suzuki DR125SEis home to a softly tuned, proven, and solid four-stroke single. 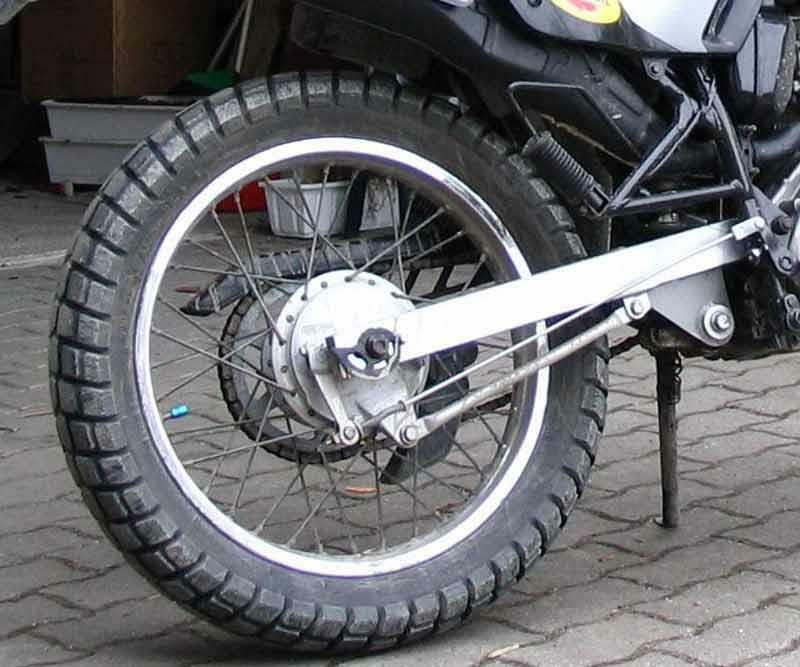 Identical to that used in Suzuki’s enduring GN125 learner custom. So don’t expect much in the way of thrills from the Suzuki DR125SE but there’s plenty of good-to-honest motive force here. 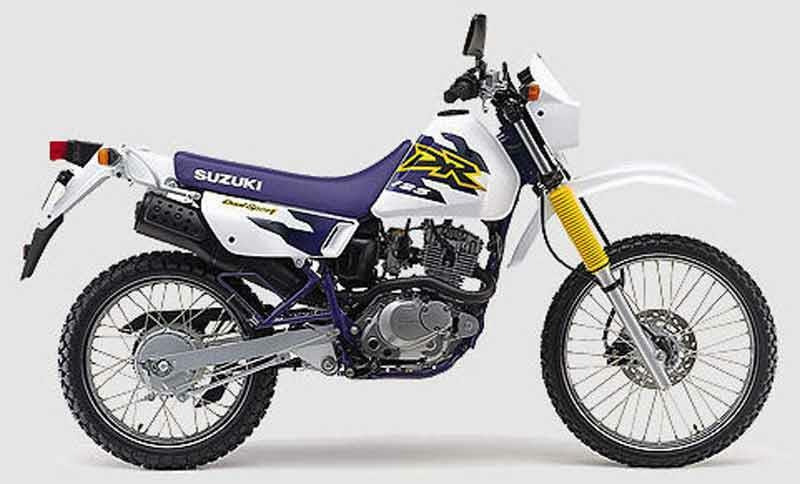 The Suzuki DR125SE is among the more rugged of the Japanese 125 trailies which is why, although now long in the tooth and never imported in great numbers, there are still some Suzuki DR125SEs around. Basic mechanicals and cycle parts are fine if looked after with no major reliability issues. 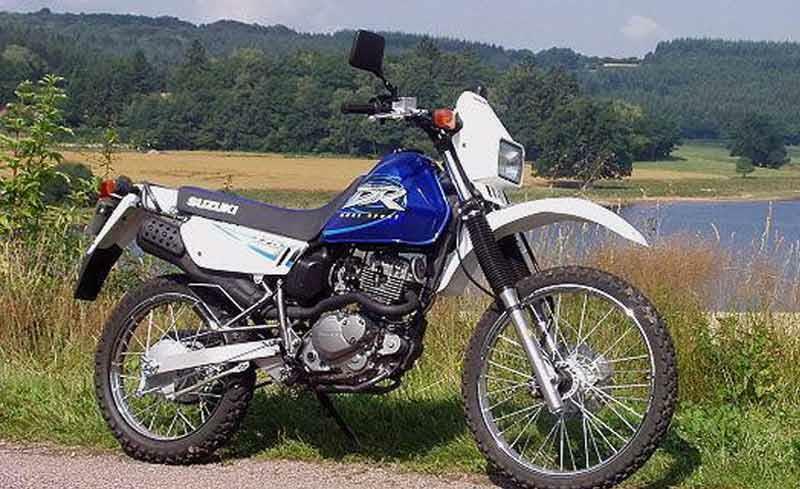 There aren’t many Suzuki DR125SEs about, which helps keeps used values up, but if you find a good un’ they’re decent value and you could be onto a winner – all the rugged peace of mind and style of , say, a Yamaha XT125, but with a whole bundle more exclusivity. 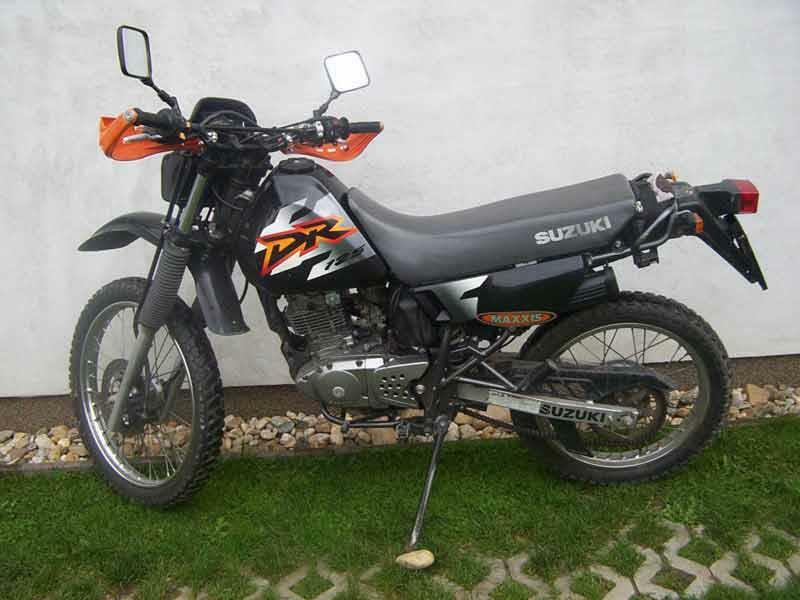 Find a Suzuki DR125 for sale. 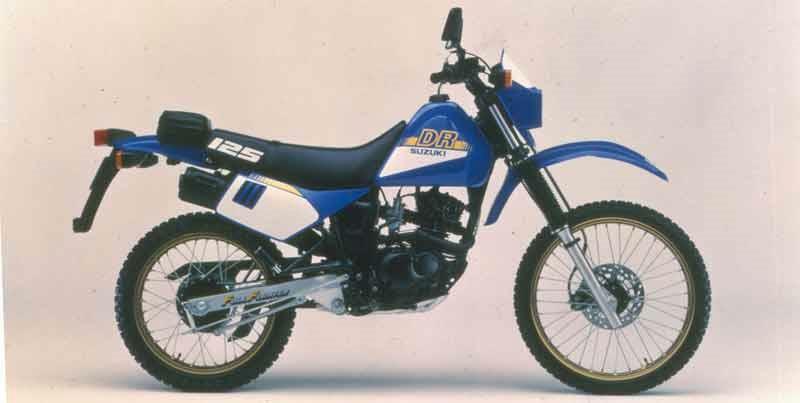 1985: Suzuki DR125 Raider launched. 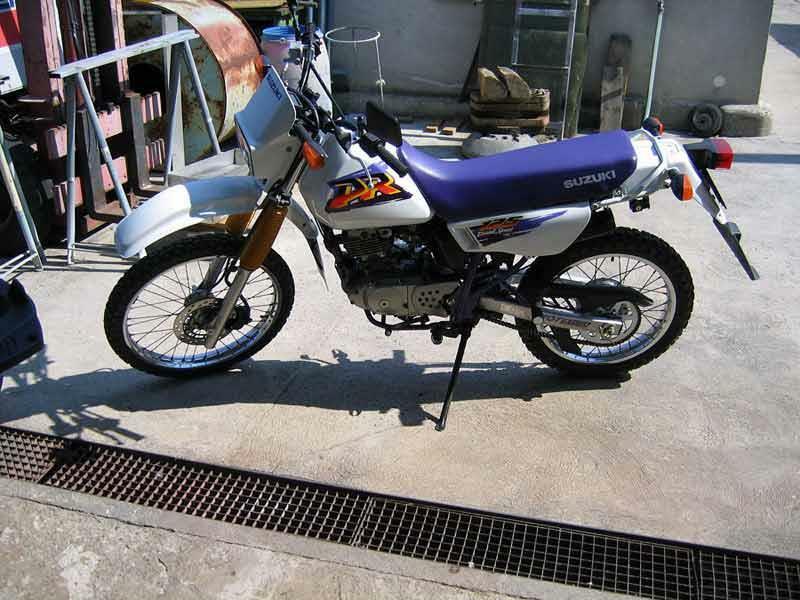 Suzuki DR125 Raider: Paris-Dakar styling with twin headlamps. 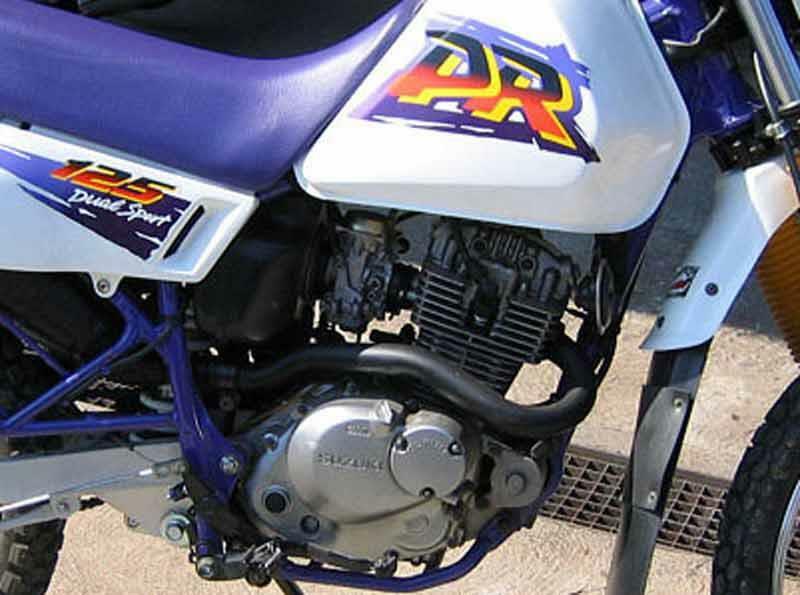 3 owners have reviewed their SUZUKI DR125 (1985-2001) and rated it in a number of areas. Read what they have to say and what they like and dislike about the bike below. It's such a simple bike and yet so well built. Everything has 'Made in Japan' written on it which is confidence inspiring and helps you see why it works so well. I say 4 out of 5 only because I use it for the road mostly, and it's no YZFR125. It IS perfectly sprung for dual purpose but is probably neither a blow-away road bike or dirt bike. Does a bit of both and does it perfectly provided you aren't going nuts. 4 out of 5 only because its not the most exciting engine in the world. It puts out about 12hp but it's so lightly tuned and time-proven that reliability is the strongest point by far. These engines will become power generators after the next nuclear fallout or zombie apocalypse. Some corrosion on screws and smaller parts but not due to my neglect. No frame or swingarm corrosion worth noting which I think is most important. Everything is metal apart from the two tiny fairings. It starts on the switch first time without fail everytime. It never bogs, never stutters, it just goes mile after mile. Will sit comfortably at 55 on knobblies, varies with wind and riding stance! Takes 800ml of 5w-40 4 stroke oil shared between clutch and engine. Doesnt burn any but oil is always worth changing if you look after stuff. I couldn't say how much fuel it takes as i never let it run out but it literally goes forever. Probably about as simple as machinery gets. Favourite features... Maybe the seat. Very comfortable. Maybe the electric start? That's nice as well. Neutral indicator is useful as mine is a little finicky about getting into neutral. The whole package is brilliant and simple. Bought privately for less than a grand but more than a PlayStation 4. If anything I paid less than I should have but I believe they needed it gone. Either way I can't fault the bike so I'm happy. First bike I owned. I bought an old MoT failure and used it to run around the farm. I think that I bought a real bodged up dog of a DR but I'll tell you about what I found anyway. The bike is a lot of fun to ride (when it starts). The kick start can tke a few attempts but once it is running it's great. Very easy and has a fair amount of grunt for a 125. The suspension on mine had completeley had it unfortunateley. It would bottom out both front and rear over any types of bumps I encountered but I think that considering the state of the bike, I can't really make a fair judgement. The brakes howver were good as they weren't too sharp which is good on slippy grass. All in all, it's a great bike for ragging round the farm with and very novice friendly. Have ridden a good one which was very good. Certainley worth a look. Which manufacturer has the best bike range?